You’re a busy small business. You just don’t have the time to answer every email that comes in as soon as it arrives no matter how much you want to do so. Clients need you. Vendors need you. Your friends and family need you. Employees, colleagues and partners need you. More important, your business needs you. Something’s got to give. Like it or not, that something is your email. Receiving a steady stream of email messages makes you feel special, important. You are special. You are important. You’re also only human. You can’t effectively run a busy small business if you spend more than half of each day reading and responding to email messages. You have to get your email under control. Below are three easy steps that will help you gain control of your email and have more productive work days. Set aside time to answer your email messages. You could check your email right after your morning break, right after lunch and right after your afternoon break to stay on top of your messages. 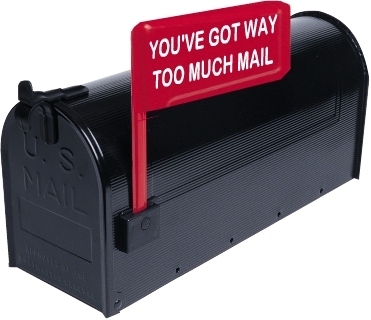 But maybe your business is extremely busy, and you need to check your email inbox more often. You could check your inbox every hour or every half hour to ensure that nothing important goes unanswered for long. Prioritize email messages. Some emails will require your immediate attention. Others can wait. As you go through and check your messages, apply labels to them like “Urgent” or “ASAP,” “Important,” “Not Important,” “Personal,” and so on. By doing this, you’ll know at a glance each time you check your email which messages to open first. If people have gotten used to your replying immediately, explain to them why you will no longer be answering email messages right away. You’re more accessible than you think. Keep in mind that if someone urgently needs you, he can call or send an instant message. If someone in your office needs you, she can just locate your and speak with you directly. You don’t have to stress yourself out by trying to answer every message immediately. Also consider that some emails can be delegated to a trusted member of your staff who is qualified to handle them. As your business grows, it stands to reason that the number of emails you receive every day will grow, too. Gain control of your email before that happens. If you’re already overwhelmed, let everyone know that you’re swamped and will need time to catch up and will respond to everyone … eventually.